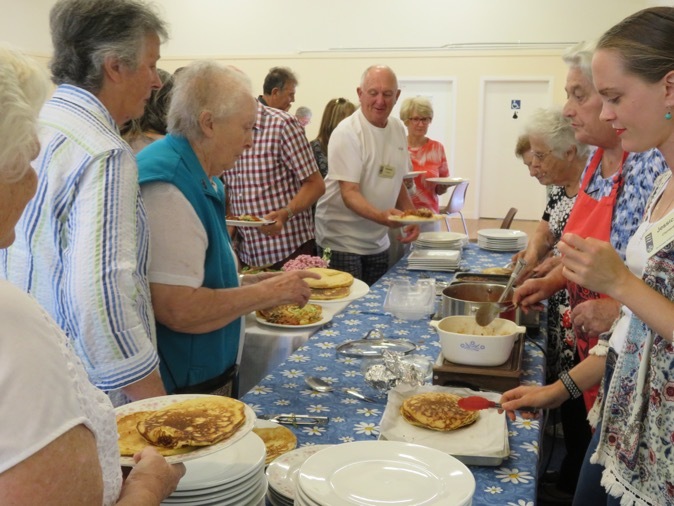 St Luke's at Torquay held its annual Shrove Tuesday Pancake Dinner on 5 March. 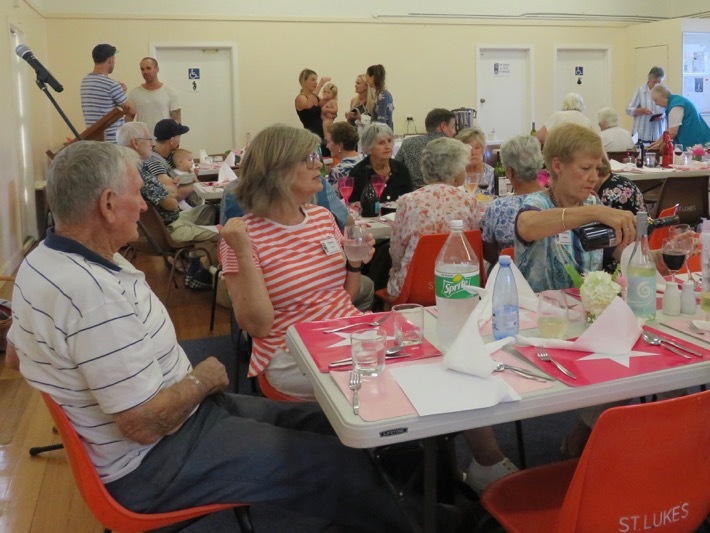 Eighty plus diners sat down to a feast of savoury pancakes, delicious fillings and salads. This was followed by sweet pancakes, stewed fruits and ice cream. The diners were entertained this year by Chris Erving who told the tale of "Albert and the Lion" and told a number of lawyer jokes. Dorothy Anderson was the winner of the lucky door prize. 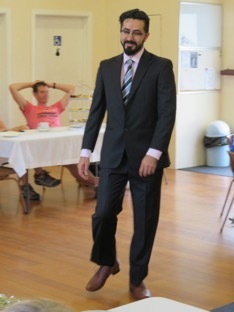 The evening raised in excess of $1000, half of which will be donated to the Anglican Hospital in Gaza. 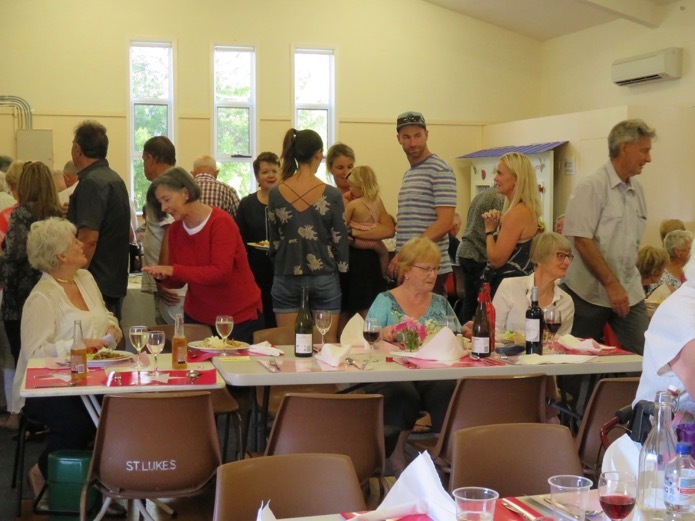 Thank you to all our parishioners and their guests who came and supported the evening and a special thanks to the parish members who prepared and served the food, who entertained us and who set up the hall and cleaned up. 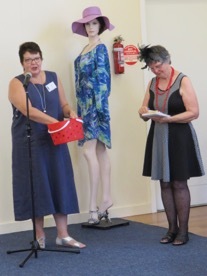 And an extra special thank you to Barbara Bell and Helen Clement for organising the evening. Visit of Bishop Kate Prowd. 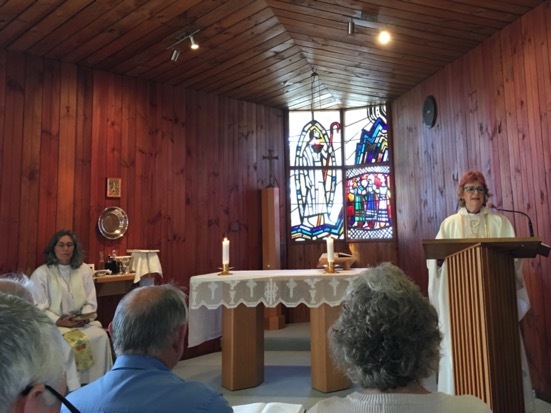 The Surfcoast Anglican Parish came together for combined Eucharist at The Church of the Transfiguration, Anglesea on Sunday 13 January. 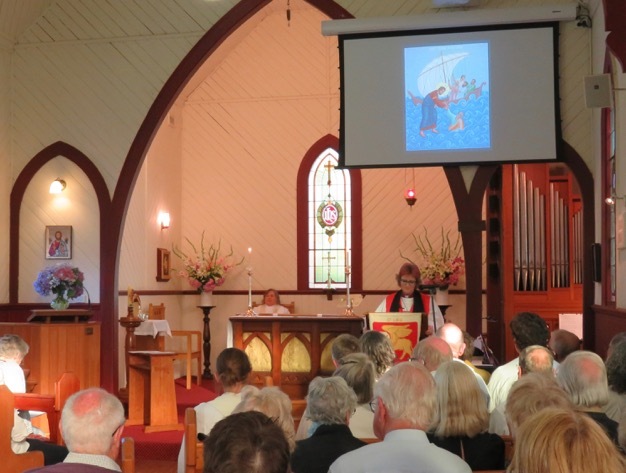 It was Bishop Kate's first official visit to our Parish since becoming Bishop of our Episcopal Area. 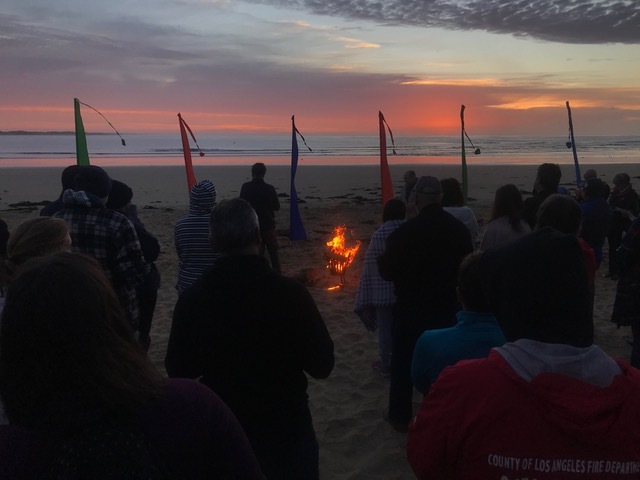 The visit coincided with the Sunday we commemorate the Baptism of our Lord and Bishop Kate preached on how we need to be filled with Baptismal Fire and be a Light to our Surfcoast Communities. 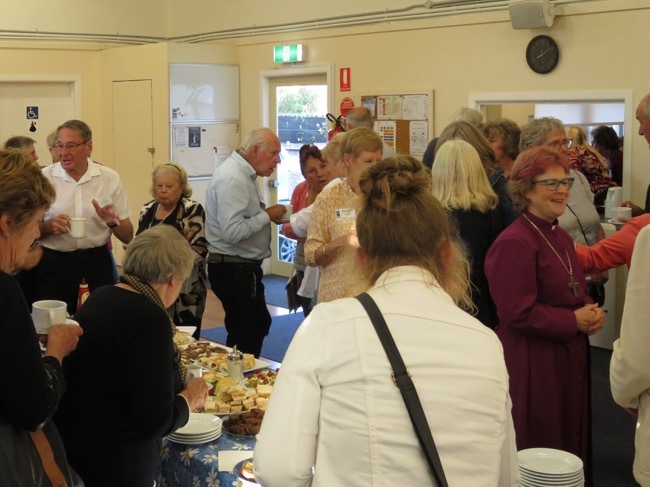 After the service we joined Bishop Kate for morning tea in the Narthex when we had an opportunity to meet and speak with her. 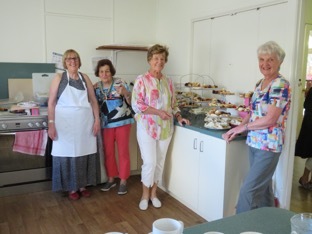 Thank you to those parishioners who stepped up again to provide the morning tea. 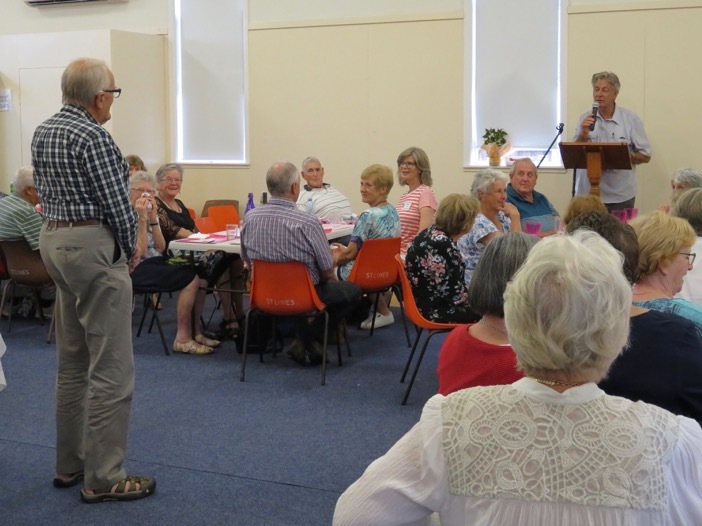 Surfcoast Anglican Parish held its annual Summer Fête on Saturday 12th January at St Luke's in Torquay. For more details and photographs click on this Summer Fête link. 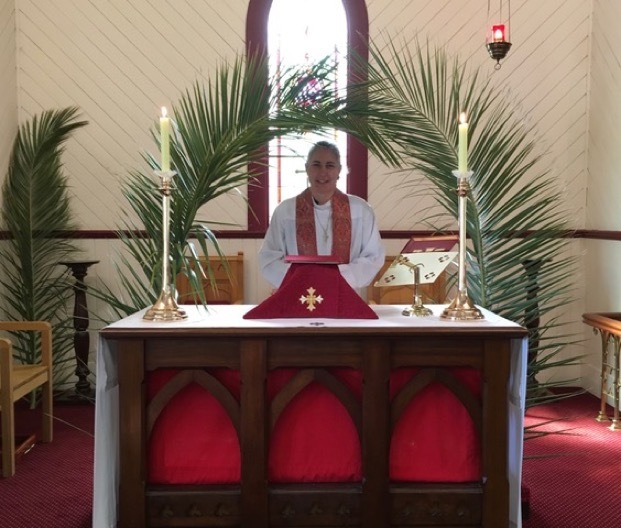 The Institution of The Reverend Sharon Valentino as Priest-in-Charge of the Surfcoast Parish. 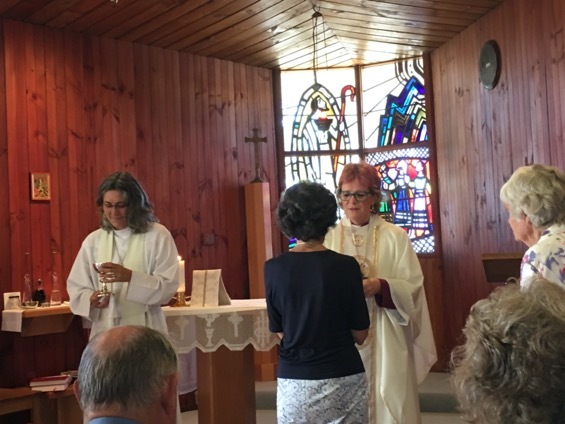 The Rev'd Sharon Valentino was instituted as the new Priest-in-Charge of the Surfcoast Anglican Parish at a service at St Luke's on the evening of Wednesday 9th January. 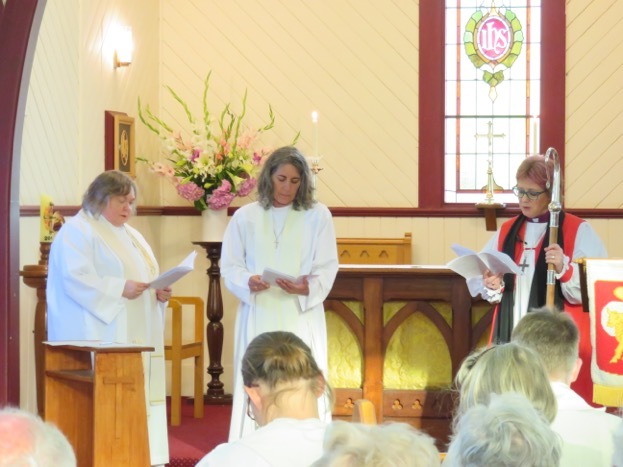 She was inducted into the position by The Right Reverend Kate Prowd Bishop of the Oodthenong Episcopal area. 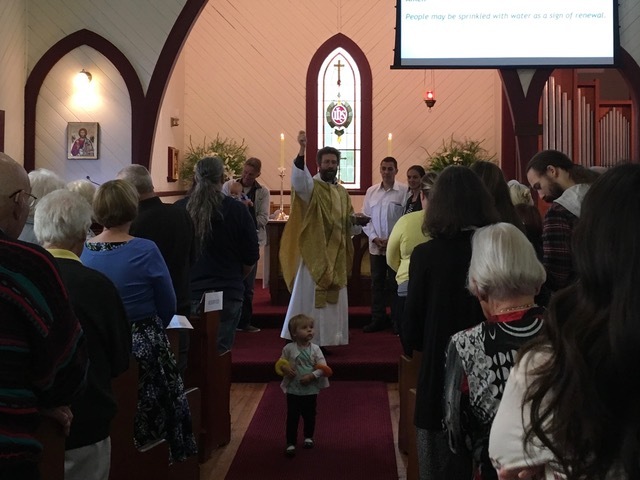 St Lukes was filled to overflowing with parishioners from the three Parish Centres, clergy from the Geelong and Surfcoast Region together with Rev'd Sharon Valentino's family, who came to witness her Commissioning and to support her. 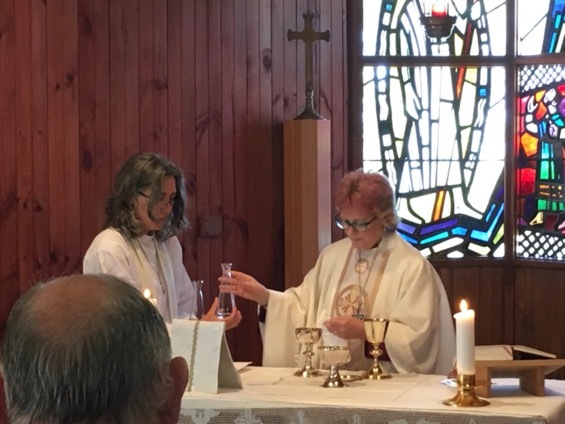 The Parish is delighted to welcome The Rev'd Sharon to her new role, she having come to the Parish originally as Assistant Priest and then holding the position of Locum Tenens until her appointment as Priest-in-Charge. 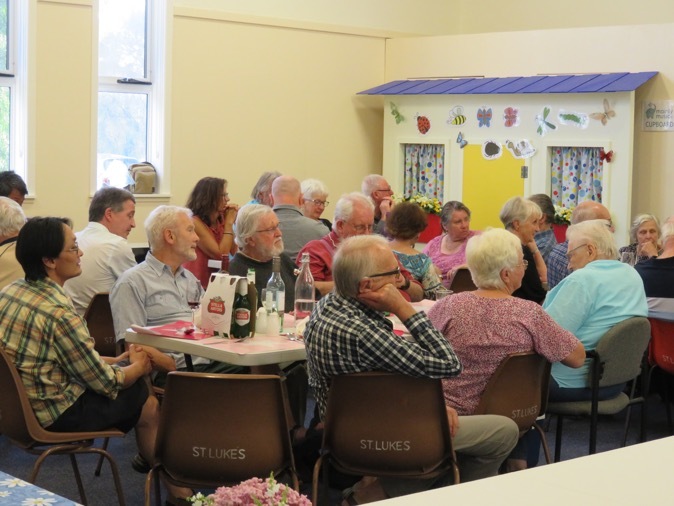 After the service the congregation gathered in the parish hall for supper. Many thanks to all the parishioners who brought the lovely food for us all to enjoy. Following the Children's Crib Service earlier in the evening, Midnight Mass was held at St Luke's on Christmas Eve. 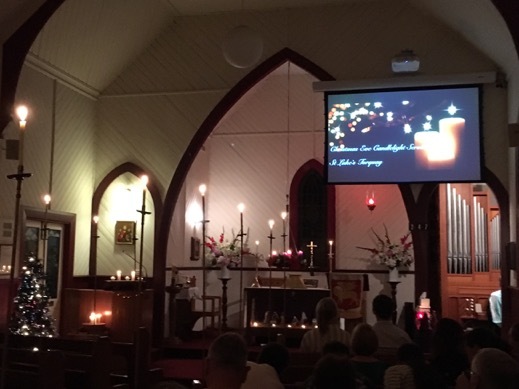 The service was conducted in candlelight and the church was full of both regular parishioners and visitors. 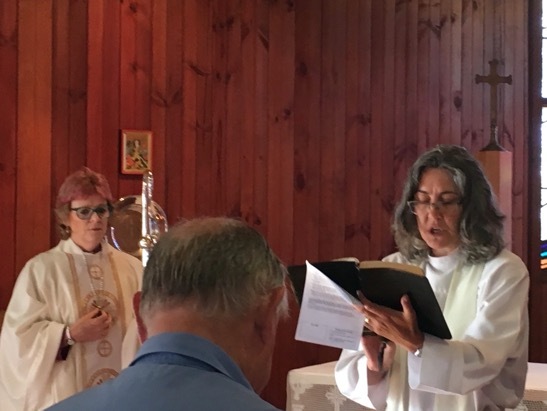 The Rev'd Sharon Valentino has been appointed as the new Priest of the Surfcoast Anglican Parish. 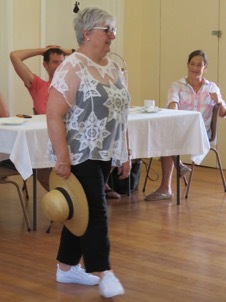 She will be inducted into the position as the new Priest of the Surfcoast Anglican Parish on Wednesday 9 January at 7pm at St Luke's. 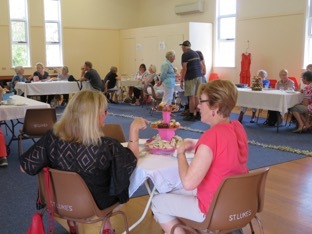 The St. Luke’s Op Shop held a Fashion Parade in St. Luke's Hall on Saturday 1 December. 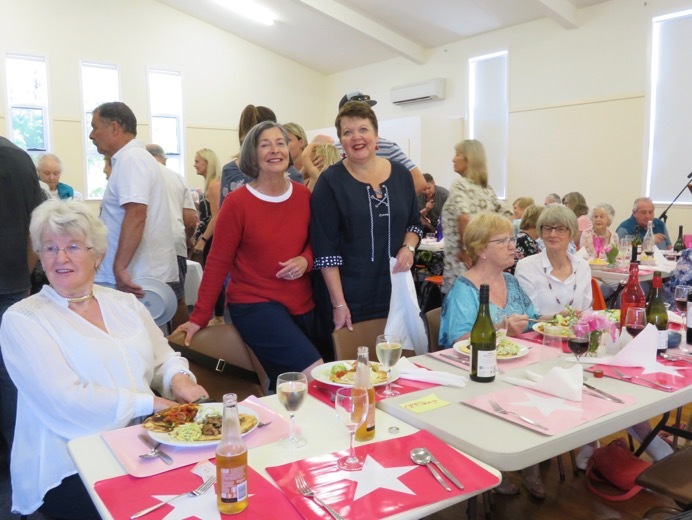 Audience members were charged an entry fee of $5 which entitled them to a delicious afternoon tea and a ticket in the raffle. 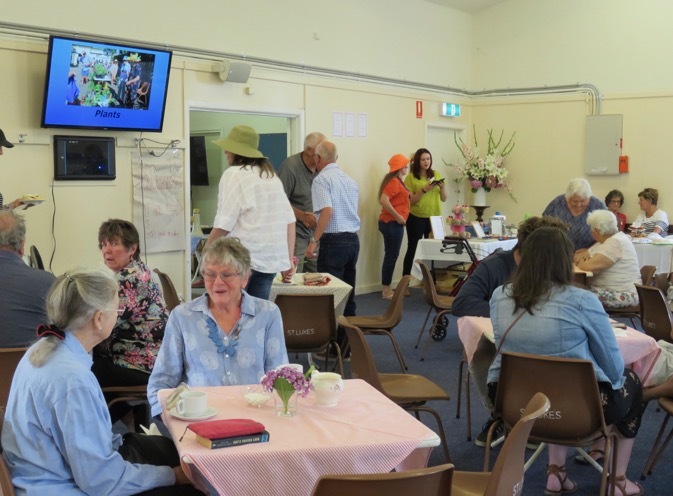 Garments selected from the Op Shop were modelled by Op Shop volunteers and their grandchildren together with St Luke's parishioners. The afternoon was a great success and was enjoyed by all. About $600 was raised from the day, of which half will be donated to drought relief. 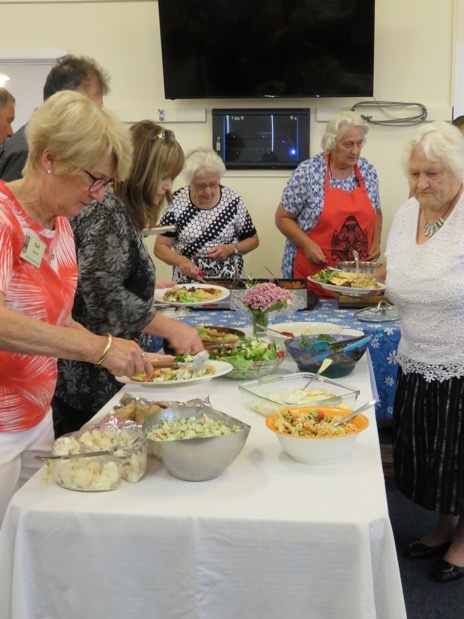 St. Luke's Craft Group Produce Stall to Aid Refugees. 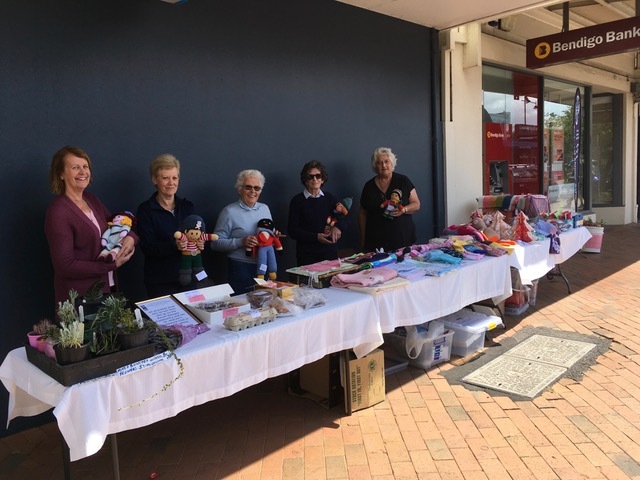 The Craft Group ladies from St. Luke’s Anglican Church held a Produce Stall outside the Bendigo Bank in Gilbert Street on Saturday 3 November. 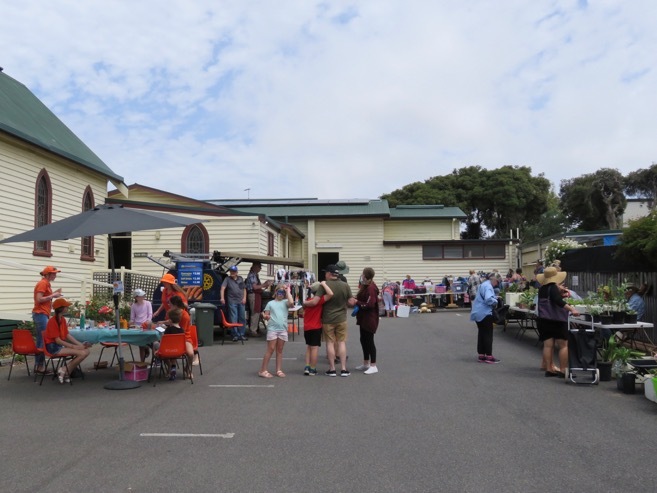 The Craft Group was raising funds to support a "Homework Club" for refugee children which is based at St. Andrew's Anglican Church in Corio, Geelong. 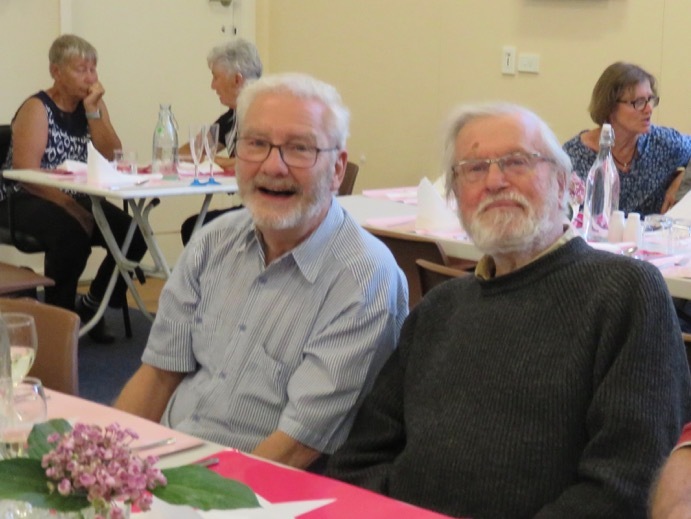 The Craft Group also conducted a raffle which was won by Torquay resident Phillip Clement. The Craft Group managed to raise $1700 for the Homework Club from the day. St Luke’s would like to thank all the locals and visitors who supported the stall by purchasing produce. 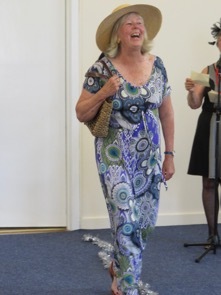 On Sunday 17 June we held a performance by Louise Brown, a classically trained cellist on her electric cello, accompanied by her husband Brendan on his electric guitar. This was held to raise funds to help pay for rewiring our church. 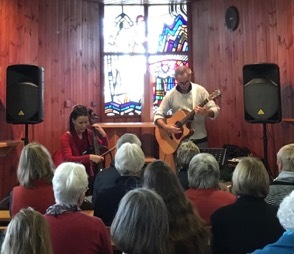 77 tickets were sold and people enjoyed a variety of modern and classical music with Louise entertaining us with stories about her music experience and her's and Brendan's experience busking overseas. 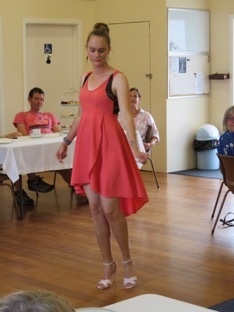 This was enjoyed by all and raised $1625 towards our rewiring. 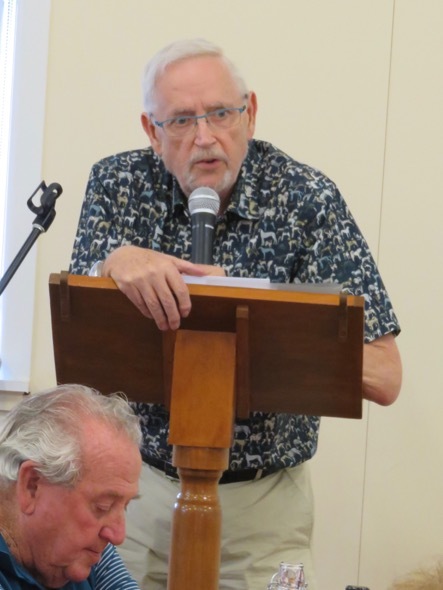 The Rev'd John Webster has resigned from his position in the Surfcoast Anglican Parish to take up a new appointment in the Parish of St John the Devine Croydon. 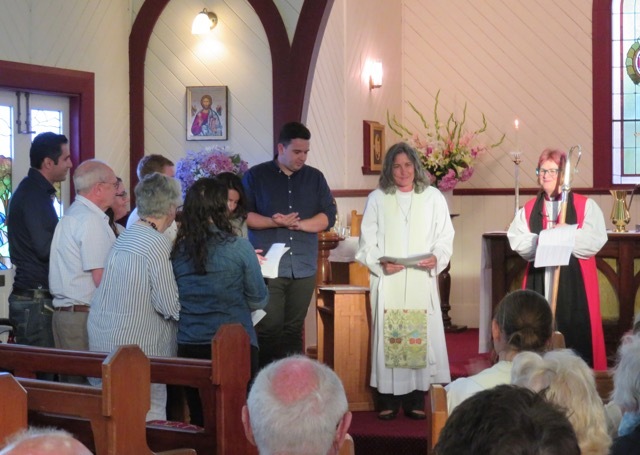 Rev'd John was inducted into his new Parish on Thursday 5 July. 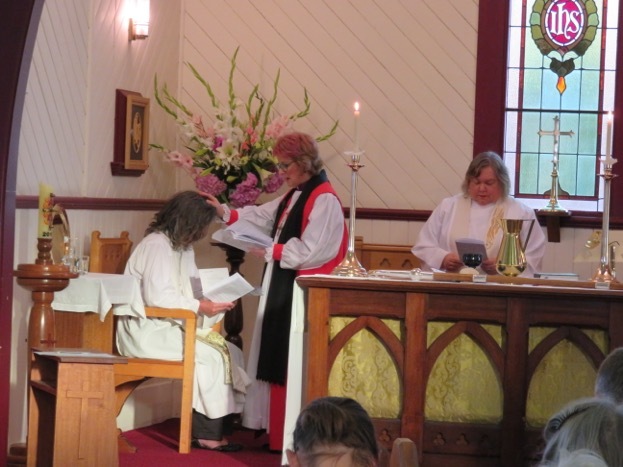 Our Assistant Priest Rev'd Sharon Valentino will be acting in Locum Tenens until a new Incumbent is appointed. 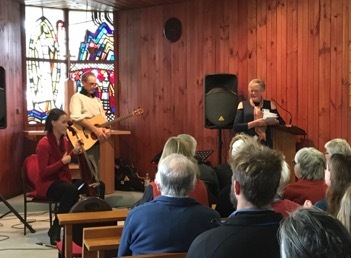 St Luke's Torquay was filled to overflowing with regulars and visitors for its Easter Sunday Service. The new Paschal candle was lit and we sang the Peruvian Gloria. 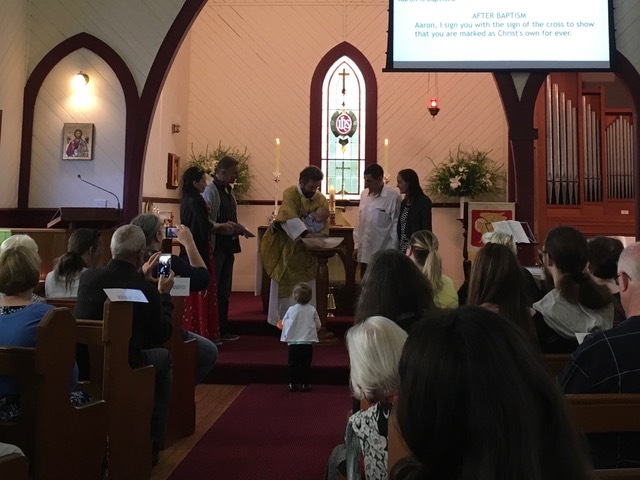 Jenny Stewart's grandson, Aaron Flanagan, was also Baptised at the service and the congregation was invited to renew their own Baptismal vows. 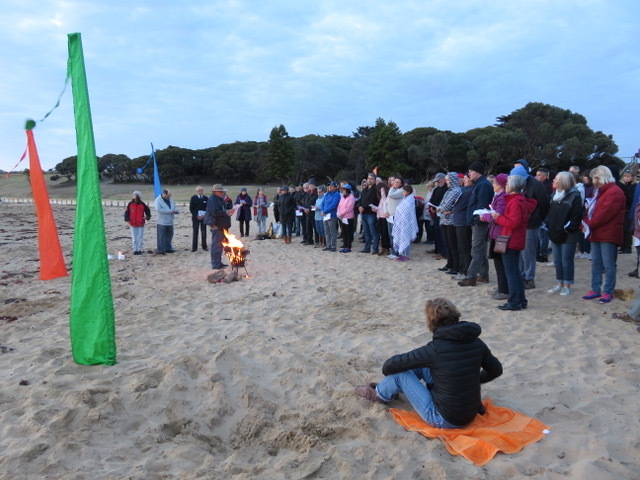 Combined Churches Torquay held their Easter Sunrise Service at Cosy Corner beside Point Danger, Torquay. 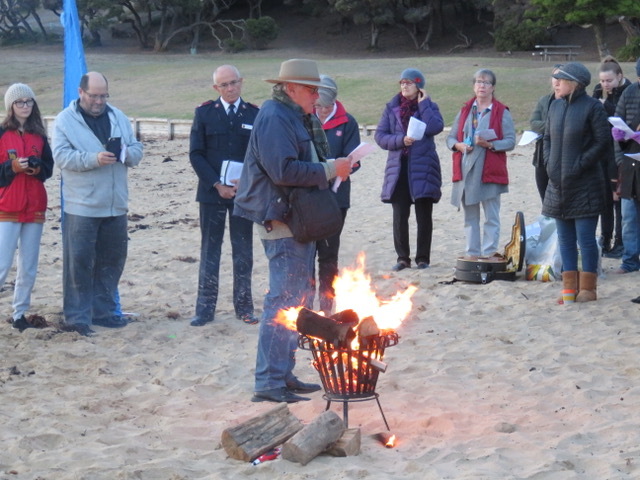 Parishioners from St Luke's Anglican Church, Elevate Church, Torquay Uniting Church, Torquay Christian Fellowship, The Salvation Army Torquay Church and St Therese Catholic Church gathered in the first light of the day to celebrate the Resurrection of our Lord Jesus Christ. Palm Sunday marks the beginning of Holy Week. St Luke's was decorated with the traditional palm branches and the congregation walked in procession from the Hall onto the Church to commemorate Jesus' entry into Jerusalem.